Turn your gaze inward this fall with SoulSpark Journeys in beautiful Steamboat Springs, Colorado. Invigorating yoga classes, nourishing food and inspiring surroundings await you. Begin each day with yoga and meditation, and then create your own retreat experience from a selection of workshops. Our talented instructors will guide you to focus on introspection, exploring & deepening your physical yoga practice, and finding happiness both on and off your mat. Fuel your body with locally, handcrafted food designed to nurture your soul. Our studio for the weekend is a 10,000 square foot luxurious private home nestled on Mount Werner. Enjoy a private yoga area, relaxing living spaces, comfortable dining areas, and a rooftop deck equipped with a fireplace and hot tub. There is limited lodging available for students who want to indulge in the ultimate retreat experience. This long weekend will engage your body, feed your senses, and ultimately revive your spirit. You’ll return home with a new outlook on life. Participation is limited to 30 students. This retreat will sell out, as it has in the past, so early sign up is recommended. To sign up for the retreat, please contact Alex at 970 819 3360 or email info@soulsparkjourneys.com Please note all payments are non refundable. 1 day tickets for Saturday will be available only if space allows – they will be available for purchase in the Fall. Your ultimate Colorado yoga retreat experience starts with a gourmet organic lunch on Friday afternoon. Enjoy a delicious meal followed by time to unpack and get acquainted with other guests before a two hour yoga workshop. You will have ample opportunity to settle into the comforts of our luxurious home before savoring dinner. An evening yoga nidra practice will ground you down from your travels, and ensure everyone sleeps well. On Saturday, early bird risers can opt to join a meditation practice before our sunrise morning yoga flow. A variety of yoga classes and workshops will be offered throughout the day, ending with a calming yoga nidra practice. Afterwards, enjoy a hike in Northwest Colorado, a soak in the private oversized Jacuzzi, or book an in-house massage. Dinner is on your own on Saturday night so you can enjoy downtown Steamboat Springs or explore Oak Creek, Clark, and the greater Yampa Valley. Sunday begins with optional meditation, sunrise yoga and then a choice of morning yoga workshops. This Colorado wellness retreat ends after lunch on Sunday. Want to be on ‘retreat’ but have limited time? This is the option for our Steamboat locals! Immerse yourself in yoga during the day and return home at night. Roof top fireplace and hot tub. 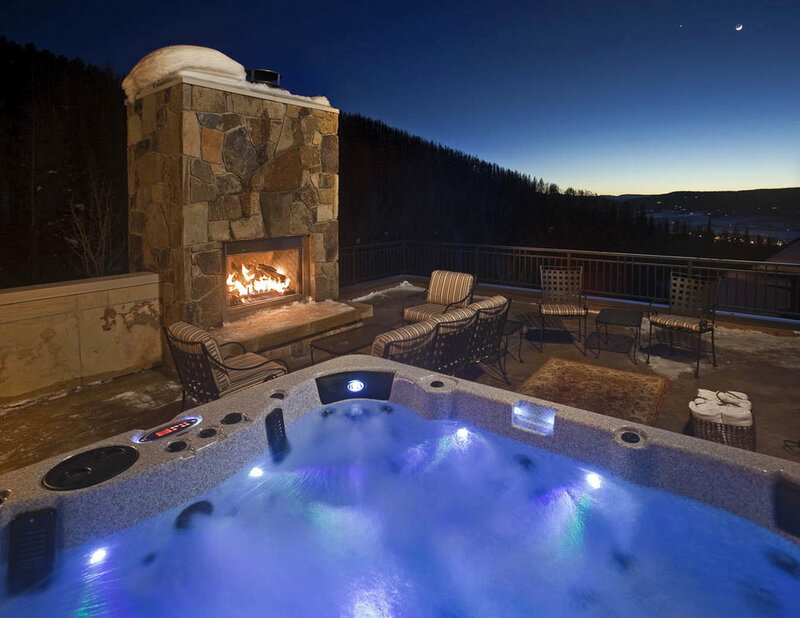 With its breath-taking mountain views of Steamboat Springs, this Colorado luxury home is the finest ski in, ski out vacation home in the Rocky Mountains. When you take your first step into the grand, vaulted entry of this luxury home, you’ll be struck by its beauty. Tremendous care and attention have been given to the finest details in the home, from the lofty windows with striking views, to the sophisticated, comfy décor, to the wonderful flow of space. This amazing Steamboat mountain home has been rated as one of the top ten rental properties in North America! You won’t want to leave. It’s the perfect place to unwind and be on retreat. NOURISHING YOUR BODY: EAT WELL! Using ancient yogic philosophy and modern day approaches to the Ayurvedic science of nutrition, we believe you literally are what you eat. SoulSpark Journeys' menu reflects a sustainable approach to using food as medicine, and incorporates vegetarian, home-made dishes crated with love. Although most items will reflect the worldly nature of SoulSpark Journeys, we still proudly source produce locally whenever possible. Our cultivated recipes will nourish your body and soul while providing you with fuel and energy to sustain you for the weekend. Our chefs can accommodate all dietary restrictions and welcome requests or feedback.